Do you recommend Entrada Group? Manufacturing in Mexico<: Entrada’s Mexico manufacturing solution keeps you free to focus on growth. While you are building your top line, Entrada partners with your manufacturing team to create an offshore manufacturing operation that you control and we support – quickly! 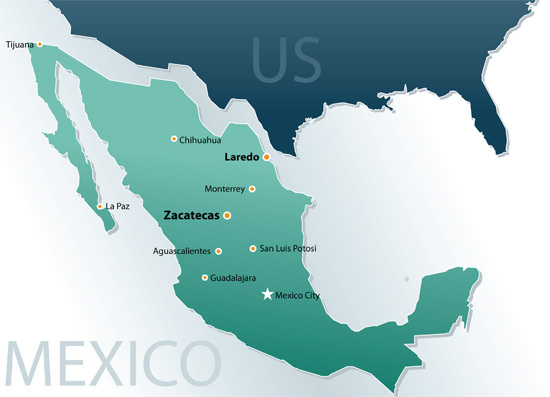 Entrada’s strategic location of Zacatecas, Mexico will enable you to significantly reduce and control your direct and indirect labor costs while putting you right in the middle of the Altiplano Region, home of the growing industrial centers of San Luis Potosí and Aguascalientes and one of the most developed supply bases in Mexico. Entrada’s business model provides you quick, easy access to manufacturing in Mexico and allows you to significantly reduce and control the overhead costs of your Mexico manufacturing operation by allowing you to outsource your administrative functions to Entrada’s on-site shared service center. Entrada’s shared services group enables your Mexico manufacturing team to focus on production only and provides you the economies of scale required for a sustainable offshore operation. By managing the day-to-day administrative functions that are particular to Mexico, Entrada gives you the freedom to compete. Securing and empowering your Mexico manufacturing future is what Entrada Group is all about. From every perspective, we offer you trusted experience and leadership. Our offshore manufacturing model ensures you reap the greatest benefit of manufacturing in Mexico—also referred to as the Maquiladora industry—all while operating within the framework of the U.S. legal system. You will be able to initiate Mexico manufacturing operations quickly and profitably without actually establishing a legal presence there, and without making many of the expenditures typically associated with such start-ups. While minimizing risks and costly first-time mistakes, your Mexico manufacturing destiny also stays firmly in your control. Entrada’s fees and costs are very competitive because it can operate efficiently and with scale due to its clients being co-located in one park. Entrada’s clients have immediate access to Entrada’s personnel, now 80 people strong, process excellence and extensive support resources. 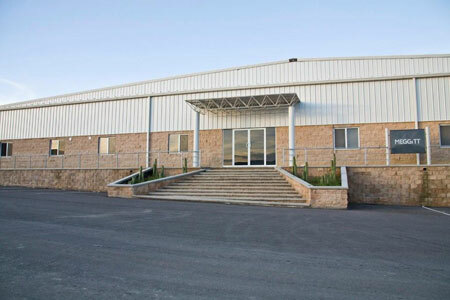 It is this convergence of our shared services approach, on-site offices and a shelter park that allows the streamlining of key production functions and capabilities that allow you to manufacture in Mexico with the ultimate in efficiency and effectiveness. Going even further, Entrada also continually invests in itself with people, systems and new technologies, all of which translates into sustained low costs and consistent high quality to our Mexico manufacturing clients. Today, leading companies are transforming their industries and capturing a competitive advantage with low-cost offshore Mexico manufacturing operations. Many of these companies have tried to secure all of the offshore Mexico manufacturing benefits of their own, but more of them are seeing that the challenges of global competition require new strategies, business models and alliances. Many management teams do not want to outsource their core Mexico manufacturing systems and processes, they want to retain control of their production and their own unique corporate culture. They want to do it quickly without overtaxing their existing management team. 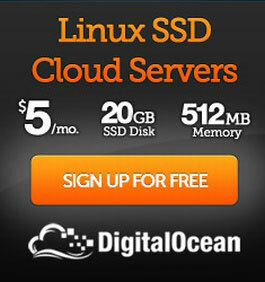 They want to do it securely without taking on unnecessary risk and over-committing resources. And while their requirements may currently only include the North American market, they want to be able to quickly and efficiently seize the opportunity to supply clients in other regions. Entrada specializes in making this approach not just a concept, but a reality. With us, you manufacture in Mexico under a U.S. contract and enjoy a truly integrated service that allows your management to focus its time and resources on running your core business. You concentrate on production, quality and your clients. Entrada takes day-to-day responsibility of all the country risks along with local and cross-border business functions that are necessary to support your Mexico manufacturing operation. More importantly, with Entrada lower cost does not mean low quality. We put an appropriately skilled, highly dedicated workforce at your fingertips, complete with a turnkey system that allows you to be up and running with your new offshore Mexico manufacturing operation in as few as 90 days. This is the true evolution of a shelter services program. This is the Entrada advantage. We know you need to control costs as you face increasing competition. Entrada’s on-site Shared Services Center in Mexico allows you to reduce and control indirect costs, both overhead and administrative, by leveraging costs and economies of scale. We offer shared services for your Mexico manufacturing operation, typically only afforded to large companies. The division of labor allows you to concentrate on your core business and build production teams that focus on the Mexican manufacturing operation’s productivity rather than being distracted by or investing in key local production support services. Our highly experienced, exceedingly professional support personnel is now 80 people strong. At our Shared Service Center, they handle all the critical manufacturing support and administrative functions, which provide you with the breadth and capabilities of a much larger staff at a cost that you could not attain on your own. Entrada takes responsibility for all recruiting and staffing, labor relations, medical services and benefit administration. Entrada ensures compliance, helps to identify class of pay, manages times and attendance, pays taxes, benefits, Social Security and federal housing reporting. Entada has C-TPAT certification and Mexican Custom Certification. These are extremely valuable and difficult to obtain certifications—they put you in the fast lane and help you avoid the many complexities and potential holdups in shipping materials and products to your Mexico manufacturing operation. We coordinate all truck movement—with daily arrivals and departures—and we make it cost effective by consolidating our clients LTL shipments and negotiating volume pricing with the transportation vendors. Entrada supports its Mexico manufacturing clients with sourcing and purchasing of indirect materials and services in Mexico. By leveraging the purchasing power of all of its clients, Entrada secures important discounts from many of the group’s suppliers. Our Mexico manufacturing clients do not need their own accountants or lawyers because Entrada is the legal entity of record in Mexico. You can depend on Entrada’s professional staff to make sure that the myriad of Mexican taxes and payables are paid. Our accounting staff also supports our Mexico manufacturing clients with financial reports that provide them with up to date costs of their activities in Mexico. This includes grants for workforce training, negotiating advantageous contracts with the appropriate authorities, and special Customs programs that facilitate the diversity of our clients’ products manufactured in Mexico. Our on-site technical support staff, as a courtesy to our Mexico manufacturing clients, help maintain basic IT systems, analyze and fix network issues and put clients in touch with more extensive support service whenever needed. Entrada provides fit-up, day-to-day maintenance of the facilities and 24/7 park security. We also will build new facilities that suit your needs and allow you total flexibility as you grow. 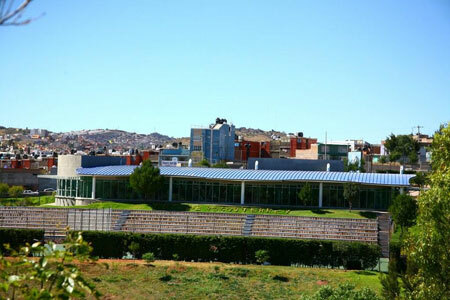 Zacatecas, Mexico, with a population of approximately 500,000, is home to Entrada’s manufacturing park. Located just outside the city, our Mexico manufacturing location is easily accessed by air from the U.S. and Mexico City. Zacatecas’ strategic, highly valued location enables our clients to successfully serve their customers throughout North America. Entrada’s Mexico manufacturing location is close to the US and Canadian markets and in the center of the Mexico manufacturing industry. 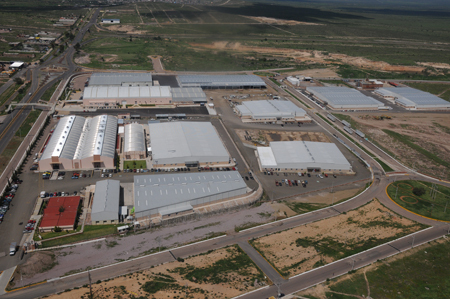 Within a 6-7 hour drive to Laredo, Texas and the U.S./Mexico border, Entrada’s nearshore manufacturing facilities offer powerful advantages over the competition. 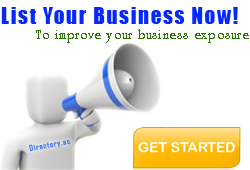 A diverse industrial supplier base is close by and the work force is stable and reliable in contrast to the highly transient work force of most border locations. What’s more, our burdened labor costs are typically 50% of those you’d find on the border. Boasting eight technical schools and eight universities, Zacatecas’ educational system creates a consistently outstanding labor force, with many experienced technicians and managers available from Zacatecas and the Altiplano region for our Mexico manufacturing location. These labor benefits enhance your production quality while creating a vibrant bottom line. Your Entrada Group reviews help others learn about this business nature. Best reviews about Entrada Group are passionate and personal. They offer a rich narrative, a wealth of detail, and a helpful tips for other Entrada Group customers. Please don't review Entrada Group if you received a freebie for writing this review about Entrada Group, or if you're connected in any way to the owner or employees of Entrada Group.